Weatherproof your business with Powerblanket pipe heaters. These advanced heaters offer freeze protection for your entire pipe & manifold system. The simple design eliminates the need for expensive work crews to install or remove heat trace, insulation and cladding. Unlike heat trace, Powerblanket does not have inrush current issues. 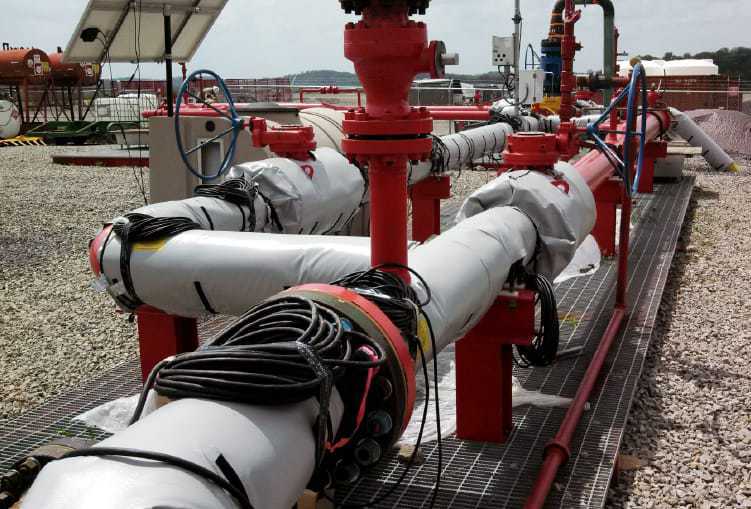 Valve, manifold, and pipe heaters are custom designed by Powerblanket’s world-class engineers to fit perfectly on your piping system. Powerblanket knows how inconvenient, expensive, and unsafe frozen pipes are. Along with our valve, manifold, and instrumentation heaters, Powerblanket also provides a product for that important element in between. Keep the fluids flowing all year long through your temperature controlled pipes.